With a vast rural population, the Florida hospital leaned on telehealth to improve transitional care. Tallahassee Memorial Hospital regularly saves upwards of $1 million per year in cost avoidance through its real-time video telehealth platform, despite not being able to bill for a vast majority of the telemedicine services it provides. The technology also improved patient health, especially among its vast rural patient population for the non-profit community hospital in Northern Florida that serves an 18-county region. 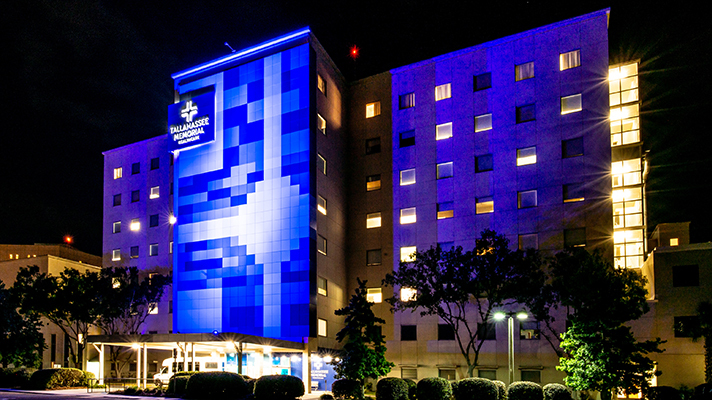 Tallahassee Memorial is the only level two trauma center in the region and is constantly operating at a high capacity with many full beds and an incredibly busy emergency room. Through telehealth, the hospital implemented remote medical services primarily focused on transitional care. The program has been successful in lowering readmission rates and caring for patients without needing them to come to the hospital. Further, it increased the number of patients the hospital was able to care for on a yearly basis, improving patient satisfaction and engagement. "Florida lacks comprehensive telemedicine legislation [so] Tallahassee Memorial uses telemedicine primarily as a transitional care tool that significantly improves cost avoidance efforts." So, instead of receiving the medical care they need, these patients simply forego it, she added. Providers can invite patients to join a telemedicine call, sent through the platform to a patient’s phone or computer via text message or email. The user interface is intuitive, Faison said, which makes it very easy to use. Telemedicine technology proliferates the healthcare industry. Among the many vendors of telehealth tech are American Well, Avizia, InTouch Health, MDLive, SnapMD, Teladoc, TeleHealth Services and Tellus. “Because it is so easy to implement technically, and so intuitive to use, we are able to perform post-surgical follow-up appointments and post-acute visits via telemedicine,” she added. This, in turn, allows the hospital to improve access to post-acute care and reduce unnecessary visits to the emergency room and readmissions to the hospital, she added. “For example, patients who have had a hip or knee replacement receive post-surgical consults through telemedicine rather than having to travel to see their surgeon, or missing critical appointments altogether due to transportation issues,” she said. It also eliminates, reduces unnecessary transportation to the hospital, Faison explained. For example, if a patient has a procedure and is moved to a rehab facility, the doctors perform their follow ups and monitor progress via telemedicine services at the patient’s bedside in the clinic. They’ve also lowered readmission rates with high-risk patients including congestive heart failure patients, patients with COPD and so forth. For these patients, a consult through telemedicine allows the transitional care team to maintain visibility into their healing process and ensure they understand post discharge instructions and are taking medications correctly, she added. Hospital staff also are able to make sure patients are following the proper steps to keep from falling back into a situation where they need to be readmitted.